I glanced down at my left pants pocket and noticed the zipper was pulled up more than an inch. It was resting against the button closure of my Pick-Pocket Proof Pants, unable to be pulled any further unless the flap was first unbuttoned. Did I forget to close it all the way? Did the young Nicaraguan woman who'd been chatting with her friend in the seat behind me while we waited for the colectivo to fill up attempt to pick my pocket? She'd had ample time if that were the case. I was the only person on the colectivo when her and her friend took their seats directly behind me. We were there alone for at least ten minutes before more people got inside, and I recalled at least once feeling her skin against my left arm. I hadn't noticed it at first, but now I couldn't believe what I was seeing. The space between my front row seat and the left side of the van was wide enough for me to fit my entire upper arm. It would've been incredibly easy for her to have slid her hand through the gap and right toward my pocket. My heart was beating faster as the questions swirled through my mind. I felt my pocket, confirming my iPhone was still there. Then I fully closed the zipper, and wedged my left arm in the gaping space between my seat and the one behind me, where it remained for the hour and a half drive from Managua to Leon. While I'll never know for sure whether it was my mistake, or I was nearly the victim of a third successful pickpocket (the first being in Barcelona after a soccer match, and the second at a horse parade in Medellin), I do know if it was the latter, the design of the pants I was wearing prevented my phone from being stolen. I first met Adam Rapp, the man behind P^cubed Pick-Pocket Proof Pants and founder of Clothing Arts at a travel blogging conference last year. He introduced me to the concept of travel pants designed specifically to prevent pickpockets, and offered to send me a complimentary pair in Colombia, along with a travel shirt for good measure. I knew exactly how I planned to test them out. I would take them to the same exact parade where my Blackberry had been stolen from my front jean pocket by a pickpocket in 2010. They arrived just in time for the 27th annual horse parade, which I attended with my friend Viviana. Together, we walked much of the parade route over three to four hours. I had my wallet and phone secured in my left front pocket, and used my right front pocket for my camera whenever I wasn't taking photos. In the beginning, there was plenty of space around us, but once we crossed a bridge to the side with more of the partiers and tailgating, it was another story. It was late in the afternoon, and the crowd had swelled with onlookers and drunken revelers. At one point, we tried to walk a certain way but it was so crowded we had to reverse course. There were also some squeeze points as there were in 2010, where only one person could pass through at a time, and you're shoulder to shoulder with strangers for what seems like an eternity. The great thing about the P^cubed pants are that once you close that button flap on a pocket, nobody is going to get in there without you at least noticing (and hopefully that awareness alone scares them away). As a result, I felt secure moving through the crowded sections. After the parade, my pants quickly became a part of my regular wardrobe in Medellin. 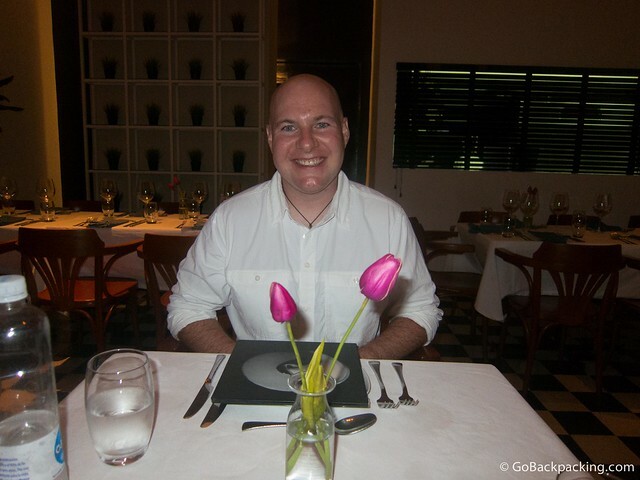 A month later, I was in Cartagena for my birthday. For those who haven't been, the heat and humidity along Colombia's Caribbean coast can be unbearable. During the day, I'd wear my P^cubed convertible pants as shorts, which is as simple as unzipping the legs. It'd taken me a long time to adopt convertible pants, but now I'm a huge fan. On the night of my birthday, I paired the pants with the white button down shirt they sent me. 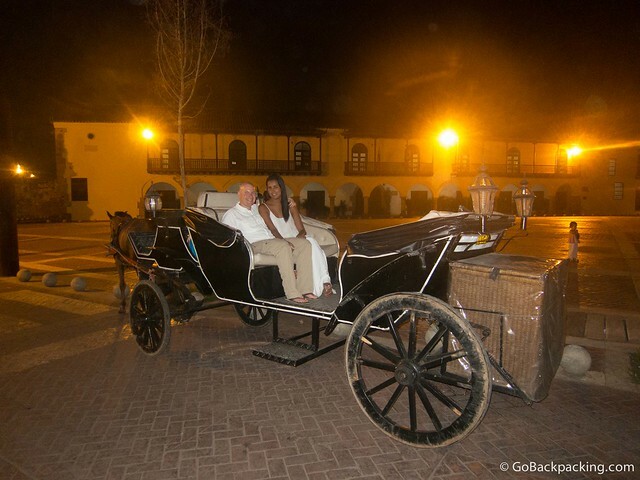 Viviana and I began with dinner at Don Juan, a restaurant favored by the current Colombian President, and ended with a romantic carriage ride through the Old Town. The shirt was stylish and breathable, and to my surprise, I didn't feel stifled by wearing long sleeves. 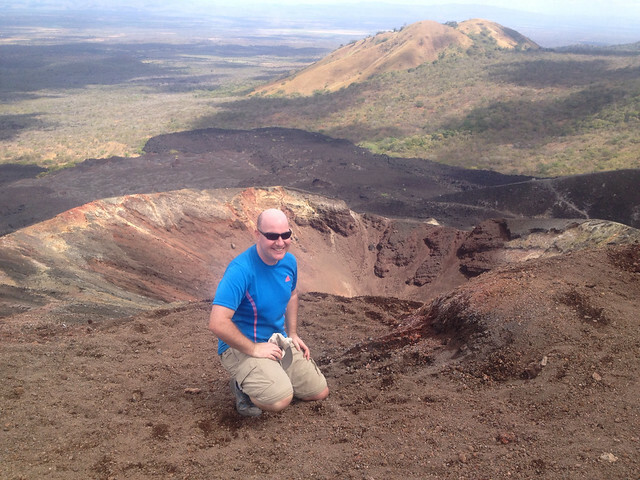 Earlier this year, I spent six weeks traveling through Central America and the convertible Pick-Pocket Proof Pants were the only pants I had with me. I wore them as pants through much of Guatemala due to the cold evening temperatures, and as shorts in Nicaragua. During my 23 hours of transit in various chicken buses and colectivos to/from Copan, Honduras, I'd zip up the pockets and close the button flaps so I could relax knowing my wallet and phone were safe and secure. I also did this when I was walking around taking photos in urban settings like Antigua, San Salvador, Leon and Granada. 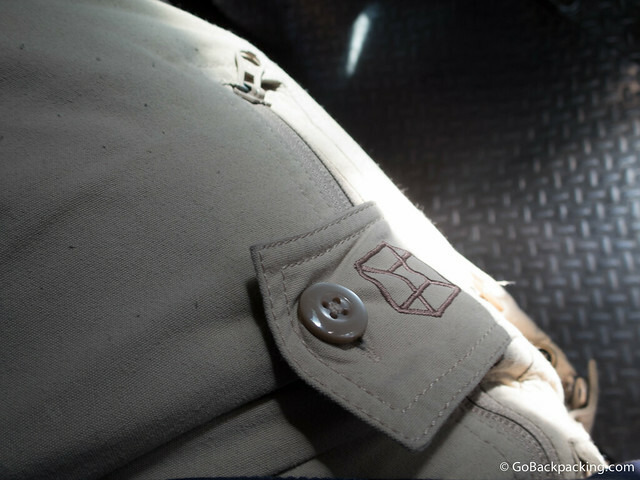 While my review has focused on the two front pockets, there are also two rear pockets with zipper and button closures, and two cargo pant pockets with button closures. To learn more about Pick Pocket Proof Pants, which are available in a variety of designs, fabrics and colors, as well as the line of shirts, check out Clothing Arts. It is really good that these pants are convertibles. As you have said, it would have been impossible for you to survive the heat and humidity of Colombia without removing the lower part of the pants. Great idea for keeping your pockets full! I like the dressy pants they have on their website too – less pockets on the outside. I wonder why they have the zipper pull down to close? It makes more sense to me if it’s zipped “up,” rather than letting things fall out the bottom it it gets opened a little like you wrote about. Be careful on sizing when purchasing these pants, as on the Clothing Arts website, the reviews are not reflective of everyone who does submit one. I purchased the women’s pants one size larger than my usual size, to be on the safe side, as I can sometimes cross into the next size dependent on fit. Sadly, they didn’t fit, and Clothing Arts has declined both my review and my request for them to fix the issue, asking me to pay shipping to exchange them. If you have to buy 2 sizes up from usual, you need to know this from go. Great looking pants, and a quality product, but if they don’t fit and the company isn’t providing a good level of customer service, potential buyers should have access to that information.